It is no surprise that a gaming company like Goodgame Studios employs many artists with a variety of specializations. Many of them design the figures and landscapes in the games and are responsible for giving each game its own individual personality. Less well known is that the company itself is also given a unique identity in terms of visual representation. Taking care of this we have a whole team known as Corporate Branding and Concepts. 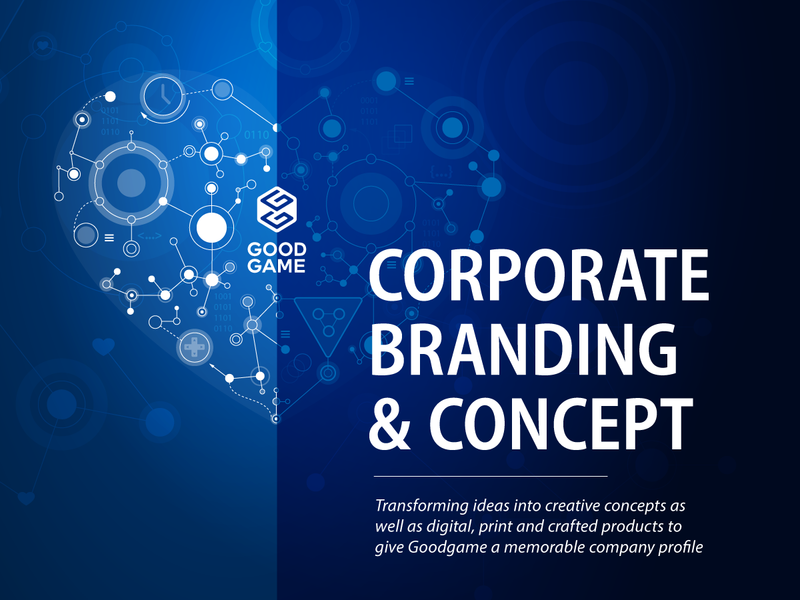 It is their mission to turn ideas into creative concepts and printed and manufactured products in order to create a corporate image for Goodgame Studios. “We’re like an advertising agency, but positioned within the company,” explain the designers. 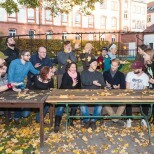 The tasks come from other departments within the company. Sometimes it might be creating a presentation for a talk at a conference, other times a graphic for the company Facebook page, concepts and adverts for HR Marketing, animations, infographics and much more – the list is endless. In some instances the tasks are straightforward, such as creating business cards or putting a new employee’s photo on the internal wiki. The projects can of course be much more complex than that, however. 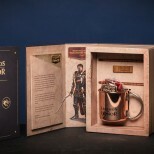 For example, the team may be tasked with creating a whole new layout for the corporate website (as they were the year before last), designing the company presence at a trade show including a job app for applicants, or with the design and creative execution of an entire merchandise box as for our latest game Legends of Honor. Probably the greatest highlight of the past year was our new logo with its fresh, clear design that perfectly conveys our vision of making really good games. One of the more recent projects was our internal Christmas party, which was kitted out with every visual asset imaginable, from a logo laser show to ice sculptures and a live Twitter wall featuring the Goodgame Christmas design. The artists are always on hand to give advice to the teams who submit these requests while they’re working on the projects, be it the Event team, HR, or Corporate Communications. Their expert opinion and experienced evaluations make up a very important part of their job and are crucial to the success of a project. The artists are happy to be considered specialized generalists, since they are all trained in the various responsibilities of the team. Most of them do have at least one special talent or exceptional experience in a particular area, however. This means that we have, for example, a logo designer, a company photographer, and even a font specialist, as well as a copywriter to take care of the text-related work. 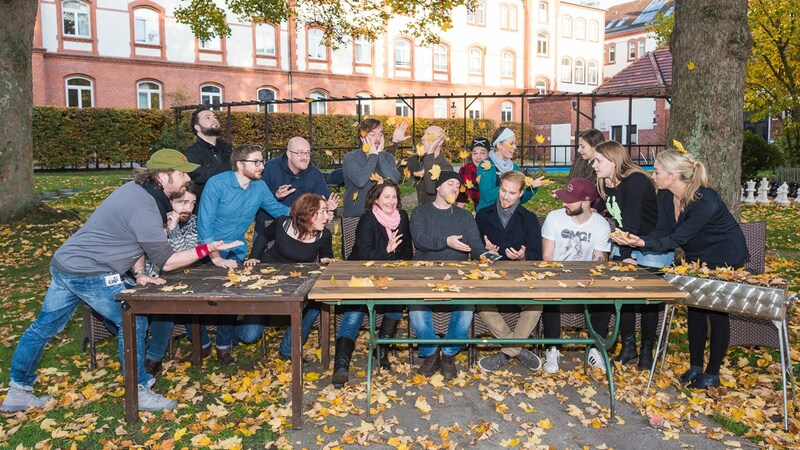 Many of the team members are already Goodgame veterans, having been responsible for the company’s visual design since it was founded six years ago. 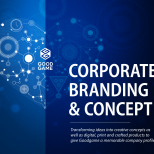 The demands placed upon the team also vary greatly, since Goodgame Studios has continued to develop rapidly over the six years since its founding, and of course, the corporate design has also moved with the times. 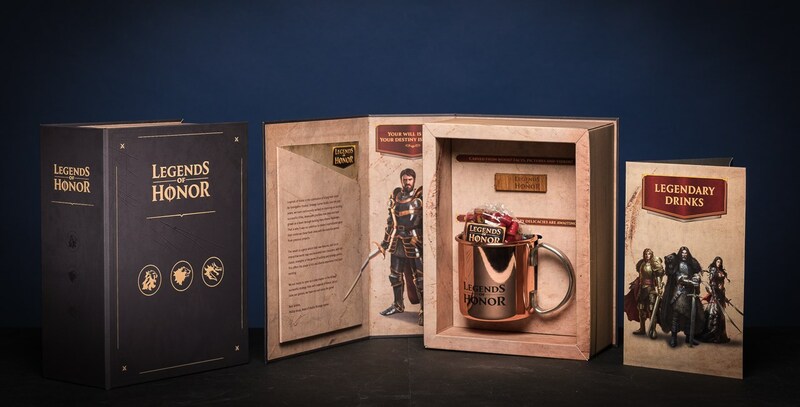 We’ll have lots of exciting things to share with you over the coming year, and we’re not only looking forward to seeing new games, but also what our Corporate Branding and Concept team will come up with for future launches and other occasions.